List with Bob Pfeiffer - McBride Kelly's Top Agent 2009, 2010, 2011, 2013, 2015! Why List With Bob Pfeiffer? When its time to sell your home or investment property, choosing the right real estate agent is very important. Bob, along with MKA Realty''s Team, offers assertive marketing programs, along with the knowledge, skills, and training accumulated from more than twenty years selling real estate. They are the preferred choice when selling property in the Tampa/St. Petersburg Florida area. Contact me for a free no-obligation consultation about your property. I will be happy to prepare a Comparative Market Analysis of properties in your area. This valuable information will provide you with a realistic idea of how to price your home based on comparative sales and market conditions for your area. I give you the facts, not padded information that over-inflates what the market is doing. You need real facts to know how the market is likely to treat your home. If you are "upside down" and you owe more on your mortgage than the market will let you sell your home for, you may need to consider a "short-sale". I can help you with your sale, whatever your situation is. I offer home sellers a comprehensive marketing plan to expose a seller's property to a maximum amount of qualified buyers. With over a decade of experience, I can support you through the entire selling process from choosing the right asking price to negotiating offers and closing escrow. Keep reading to learn more about my Marketing Plan and client support services. 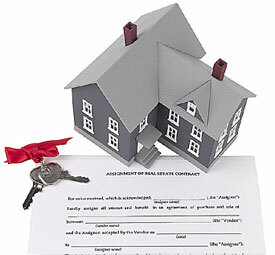 Selling a home requires the property be priced so it can successfully compete in the current real estate market. I provide in-depth comparative market analysis information to help you decide on the best price for your home. Today's market includes many foreclosures and "short-sale" properties. Buyers are price conscious and a home must be competitively priced to sell and appraise. If you need to "short-sale" I can provide you with the needed tools. So whether you are a "traditional" seller, or need to "short-sale, give me a call. I provide aggressive, pro-active marketing. McBride Kelly & Associates offers homeowners Internet visibility on popular high traffic websites where buyers frequently search. I take quality photos of your home that are used in marketing your property. I work to get photos that show your home to the best advantage. With a majority of buyers looking for homes on the Internet first, before they ever contact an agent to look for a home in person, often times the photographs may make that difference. Virtual Tours, Interactive Galleries & More! A panoramic virtual tour of your property is displayed on any websites which support the technology. Your MKArealty.com listing page also includes an interactive photo gallery/slideshow in addition to your virtual tour. With social media on the rise, I use this format as a way to highlight your home. MKA Realty provides your property Internet visibility on dozens of popular high traffic websites where buyers frequently search. I provide client support all the way through closing!!! Once we receive an offer that is when a large amount of work begins. I provide negotiations with the Buyer's agent and are involved in all aspects of the home closing with the escrow/title company.